We met Phoebe a few days before Thanksgiving, in her warm, sunny San Francisco kitchen. Phoebe is a personal chef and cooking instructor at the Studio of Good Living and we documented one of her holiday cooking classes for an article for the San Francisco Bay Guardian (which you can read here). Phoebe's sweet personality speaks through the mouthwatering food she cooks, and it was easy to feel an instant connection with her. 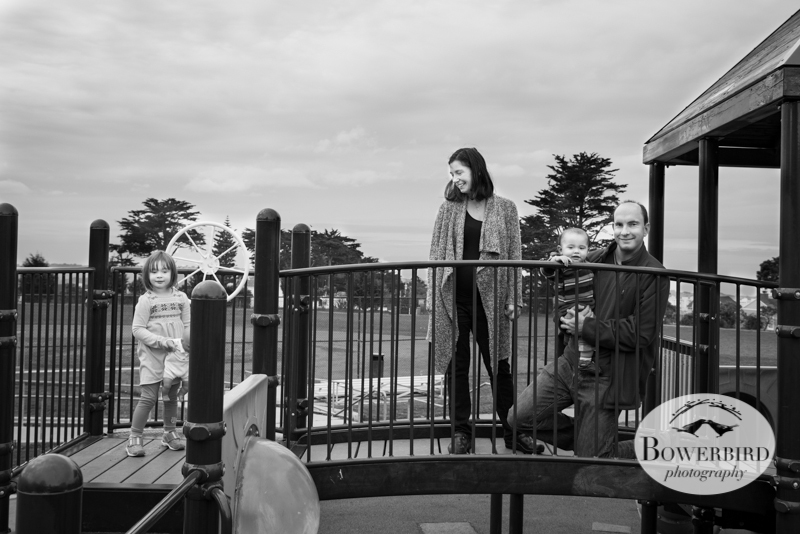 At the end of the class, she asked if we could take some family photos in the new year, and soon after, we met her beautiful family for a park day at the Aptos playground in San Francisco. Even though the clouds stretched across the horizon for a wintry cool day, we stayed plenty warm, playing on the swings, monkey bars and the slides. Sam, for one, will readily admit that he worked up a sweat keeping up with the two little runners. We are also excited for when baby three comes along, and to document when four becomes five. We're ready to lace up our track shoes :) We hope you enjoy these photographs, showcasing the happy, loving spirit of this family as they play together in the park. A family portrait on the playground. 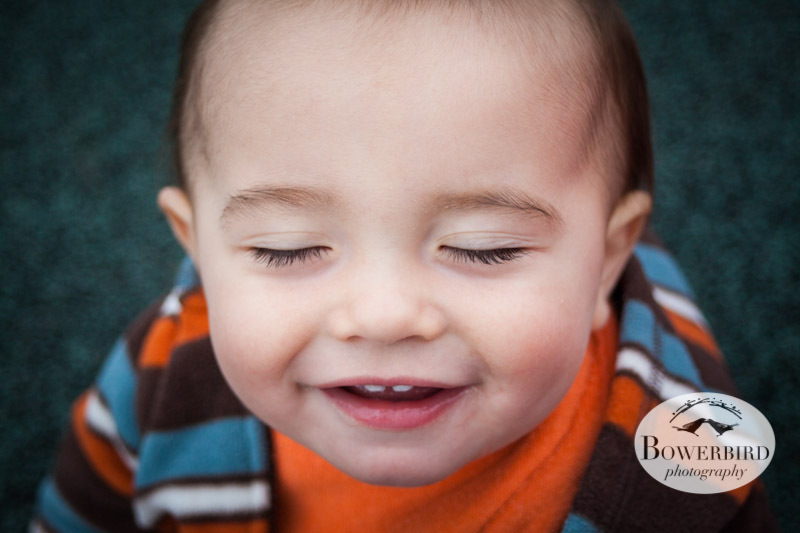 © Bowerbird Photography 2013; San Francisco Family Photography. An adorable smile! © Bowerbird Photography 2013; San Francisco Family Photography. Perfect in pink! © Bowerbird Photography 2013; San Francisco Family Photography. © Bowerbird Photography 2013; San Francisco Family Photography. Mama and baby looking so happy! © Bowerbird Photography 2013; San Francisco Family Photography. Running in socks -- too cute! © Bowerbird Photography 2013; San Francisco Family Photography. One of our all time favorite family portraits! Everyone is so happy and having so much fun! © Bowerbird Photography 2013; San Francisco Family Photography. What a lovely family! And congratulations on the little bun in the oven! (We couldn't help ourselves... bun... oven... mommy chef - love it! ).